Cigar smoking is not merely about purchasing the cigar itself but it also has a lot to do with acquiring the right accessories. There are countless accessories that you can purchase for cigar smoking â€“ some of them necessary, while others are for the â€œbling factor.â€ One accessory that can fall under both categories â€“ necessary and bling â€“ is the smoking jacket. Truth be told, smoking jackets are quite rare these days, making them quite costly. However, they do serve a purpose. Smoking jackets are basically overcoats that are worn when one smokes a cigar. Their purpose is to protect the personâ€™s clothing from the smoke, smell, and ashes associated with smoking cigars. Smoking jackets were very popular during the Victorian times. They arose from the necessity of avoiding offense to the ladiesâ€™ sensibilities. 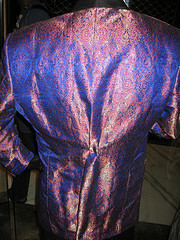 Smoking jackets then varied in style but were usually made of velvet or silk and waist-length. They had turned up collars and toggle fastenings. The colors of smoking jackets were rich and vibrant – usually burgundy and bottle green. Today, smoking jackets are used that much. Indeed, I donâ€™t think that I personally know anyone who regularly uses a smoke jacket. Perhaps the times have changed and the smell of smoke is not that offensive to others. However, one can still acquire a smoking jacket â€“ if only for a fashion statement. Your best bet would be to frequent vintage clothing stores or have one especially made. The Stogie Guys talks about Cigar Bid, perhaps the premier site for buying cigars online. Cigar enthusiasts fondly call it CBid. CBid is a veritable treasure trove of bargains related to anything cigar â€“ cigars themselves, lighters, and all sorts of other merchandise. This place would be the place to go if you want to be able to enjoy your favorite hobby even when finances are tight. However, not everything for sale on CBid would be the best deal for you. You have to factor in other things in order to make sure that you are getting it for the cheapest price possible. For example, you need to make sure that what with the shipping costs, you are still getting a cheaper deal. The best course to take would be to check the regular price of the item â€“ you can do so at other sites which offer the items at MSRP â€“ and then compare the total cost at CBid. Another thing to consider would be your self-control. Yup, that â€œSâ€ word that many people find hard to deal with. If you are anything like me, you might tend to get carried away from time to time. You see a couple of deals that you like and then discover a couple more. You go on and on and buy and buy till you realize that you have spent more than you originally intended to! The bottom line is to have that budget we talked about in the past posts and then stick to it. You will not be deprived if you do not splurge, you know. Normally, cigars can be easily partnered with coffee. However, partnering them with the right wine like port or porto. 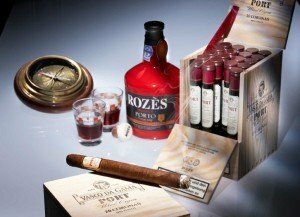 Vintage Porto is the ideal brand to use, but considering their cost, cigar smokers would normally outsource for alternative ones to pair with their usual favorite cigar. Porto is a fortified red wine that contains brandy and is available in Portugal. 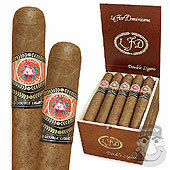 Its sweet taste is similar to common deserts, making it a good pair with the cigars smoked today. Cigars will have their usual varied tastes depending on their manufacturer, but nothing beats a good pair of wine consumption as well. It only goes to show that people have different ways of enjoying their preferred brand of cigar. Coffee will always be the first thing in mind, but wine is another option that provides classy presentation and drinking for religiously smoking cigar people today. Besides, people express themselves in their lifestyle, hence cigar with wine being a class in its own.